Junior WPH kicked off its second Mega Clinic and Junior WPH 3-Wall tournament of the WPH Outdoor season. 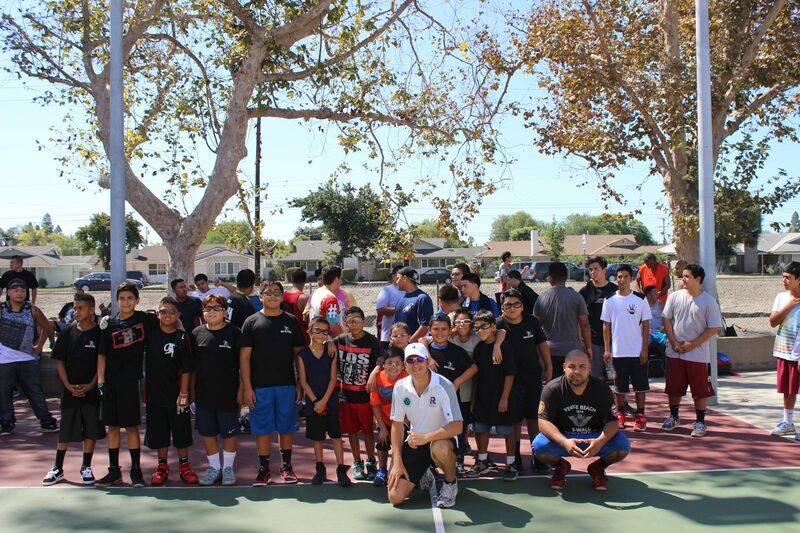 WPH Master Instructor David Fink and WPH Coaches Sal Duenas, Jonathan Iglesias and Tanner Cleveland led a group of more than 50 junior players through various handball drills and games, including left-hand defense, the fly kill and the corner kill. “Junior WPH is incredibly proud to inspire the next generation of players,” boasted Fink. “WPH Outdoor events are tremendously exciting because of the infectious junior energy at all of the WPH Outdoor events. The juniors are inspiring to even the pro players, as each demonstrates exemplary sportsmanship and passion for the game.” Junior WPH has hosted 1900 junior handball clinics in the past 27 months, coaching more than 5000 young people. 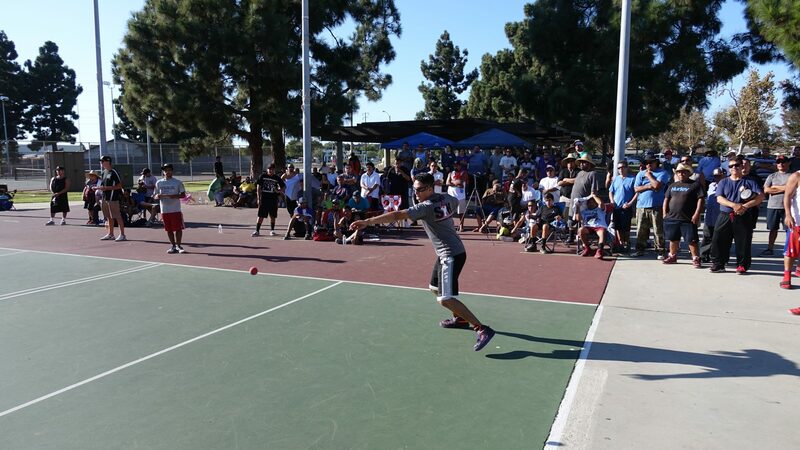 Play resumed at the Back 2 School Bash on Saturday, with more than 150 players of the best 3-Wall Big Ball players in the game playing singles and doubles at Huntington Beach’s magnificent Marina Park. 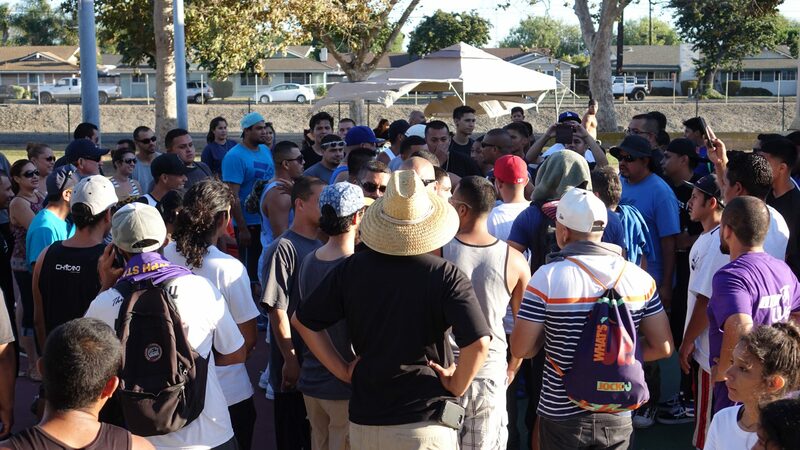 The pressure mounted on Saturday, as players competed for ranking points to qualify for the WPH/WOR 3WallBall Outdoor World Championships in Las Vegas, September 24th-27th (entry here). In the Men’s A (Pro) Alfredo “El Hombre” Morales proved that he is indeed “The Man,” defeating WPH Outdoor #1 and living legend Samzon Hernandez in the quarterfinals. Morales controlled the action throughout the two-game sweep, defeating “The Machine” for the second consecutive time this summer. “El Hombre” faced his WPH Outdoor Xrossover co-finalist Lobo Valencia in the semifinals, avenging his loss at Venice Beach and advancing to the finals in two games. Second-seeded Juan Santos survived a scare in his quarterfinal clash with good friend Rudy Cruz, as Cruz stood just three points from an upset at 12-13 in game two. Santos survived to advance to the semifinal and eliminated former WPH Outdoor finalist Vic Duran in two games to advance to his first final since the WPH Outdoor Vegas Lte in May. Team Samzon/Wiz (Hernandez and Duenas) advanced to the final after narrowly escaping their round of 16 match against Team Camerena/Ortiz. Team Samzon/Wiz cruised to the final after their first round scare. Team Santos/Gonzalez encountered little difficulty in advancing to the final in the bottom bracket to setup a match with the #1 and #3 WPH Outdoor pros. 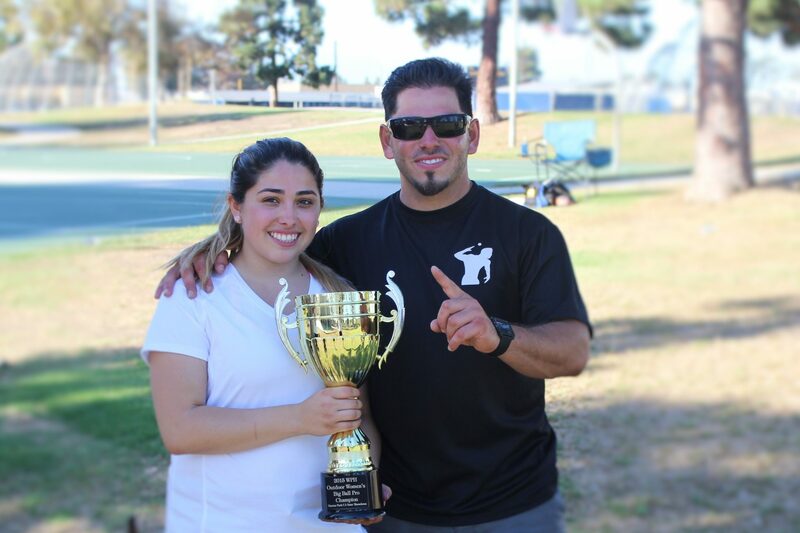 Christy Ortiz clinched her first WPH Outdoor title in Saturday, defeating Laura Leyva and Priscilla Duenas. “I am so happy,” beamed an ecstatic Ortiz. “Christy won a bigger trophy that I’ve ever won,” boasted proud brother and R48 #5 pro Mando Ortiz.